Not all 'creepy girls' are famous or have a lot of followers. When we first started 'creepy girl', it was women that made an impact or inspired us with a tinge of creepiness, of course. Some of our earlier 'creepy girls' were women from NJ that had amazing characteristics that we found in them. Then it grew to women with great causes, style, and charisma. On off days, we picked famous women from actresses to musicians. We wanted to showcase women that were unknown and we are going back to that. If you know of any women that fit perfectly into the category anywhere around the world, please contact us. Our e-mail is in the sidebar. Tell us why they are 'creepy girl' status and please send us a few photos of these wonderful women with a short description. Today's girl was voted in from a few people. 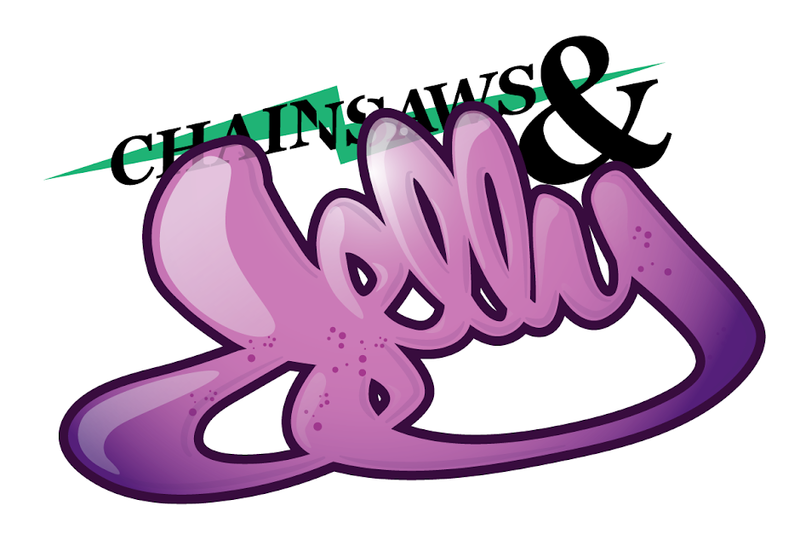 Instead of a short description about her, we are asking you the READER whether you know her or not, to give a short statement about Sheena She, founder of Chainsaws and Jelly. This is a way of engaging the audience about what you think about the blog and/or about Sheena She. Happy Friday and thank you! She she are the happiest human being i have ever met. Hands down. No questions asked. In the words of Aaliyah... she's a "positive, motivating force within my life" !!! I want calves like she. You're the greatest ever at almost everything! sheena she is a ninja warrior champion she is also the founding member of the care bears. she smile all the time she is like a great big ray of sunlight until the night time come around and then she turns into a she wolf who spends her nights smokin cigarettes and running her blog site funny thing is when she transforms she doesn't get any bigger hmmmmm???!!!!!! Sheena Ocot is a wonderful powerwoman,a true friend, babe, best girl ever. I will say she is the sweetest person alive, this almost sounds like an obituary..but sheena is just the best. sheena she is IN with the IN. you name it she can tell you about it, just look at chainsaws and jelly amongst all her other ways of networking! Sheena is the Michelle Obama of the NJ Underground/Independent scene, She is the behind the scenes HNIC, She is the glue that holds the NJ Hip Hop/Art world together. She is a great role model and Inspiration for Phillipino Americans, Women, and Men alike, She is also a cute and sweet and a great Friend, without her we would all be lost. sheena is easy to talk to, and very caring, and goes out of her way to make a stranger feel... less strange. and goes out of her way to make a creepy girl feel appropriately creepy! Sheena is the Wizard to my Magic. sheena is a one woman salt & peppa! she's funky, fresh with a dash of class! always imitated but never duplicated. in sharing your vision here on your blog. that will always mean alot to me :o) peace!